Ever since I can remember, pasta has been il mio preferito. In fact, I’ve always told my children that when I die, I’d like to be placed in a coffin filled with vermicelli, and lowered into a vat of my mother’s famous Italian meat sauce to soak for eternity. 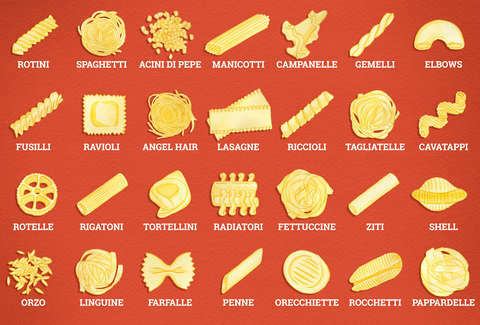 That’s obviously a joke as I don’t have any children, but if I did, I would certainly print out and staple a copy of this deliciously informative pasta guide -- illustrated by the ever noodle-conscious Meghann Stephenson -- to their headboards to make sure they don’t mix up my prized vermicelli with some low-class, common spaghetti. God forbid. Wil Fulton is a Staff Writer for Thrillist. He ate a silver Mentos once. Or maybe that was just a quarter? Follow him @wilfulton.